In yesterday’s Daily Mirror, Top Gear star Richard Hammond hand-picked his current top five motors. We’ve cut out a bit of waffle to take you through his top five picks..
BMW 320d – “Hundreds of thousands of people would like to drive a BMW 3-Series every day. 181bhp, great handling and, even if you drive it ‘enthusiastically’ it will get over 50mpg.” We have used BMW 320d available at VCARS. Volkswagen Up – “Four wheels, a small 1.0-litre economical three-cylinder petrol engine (50mpg no problem) a simple dashboard with only the dials that you really need. It’s not a cute looking car and it’s not ugly. It’s not fun to drive but it’s not boring, either. The Up is really well made.” We have used Volkswagen Up available at VCARS. Kia Rio – “How straightforward it must be to be a Kia salesman. No need to baffle punters with unnecessary technical talk; no need to trot out pointless marketing babble. The latest star in the camp is the Rio, available with a three-cylinder diesel engine that uses hardly any fuel at all. It looks attractive inside and out and doesn’t contain any pointless gadgets. 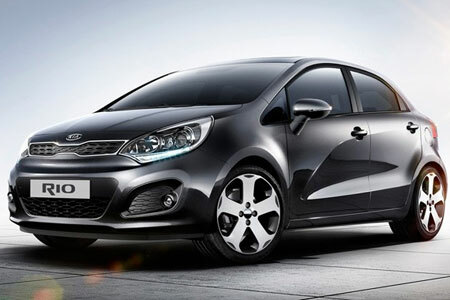 It’s simply a sound family hatchback that sells itself.” We have used Kia Rio at VCARS.